“President Obama’s premature withdrawal (yes, I meant this to have a double meaning), of our Forces from Iraq was just another BIG mistake (one of many) he can add to his list of failures. Obama-the-Liar continues to display a complete lack of concern for American Men and Women in the US Military. The fact that the ultimate sacrifice was paid by so many to free Iraq Citizens from Radical Islamic Terrorist apparently means nothing to this “Wan’na be First King of America”. Obama-the-Liar’s steadfast adherence to an Ideology not embraced by most Americans simply proves he is only interested in Democratic Political concerns. Every decision he makes is tainted, and therefore governed by solidifying the Socialist Progressive Democrats grasp of power within not only the Executive Branch, but also the Judicial and Legislative Branches of American Government. President Obama does not care about your Sons and Daughters. Nor does he care about you, other than your Vote. 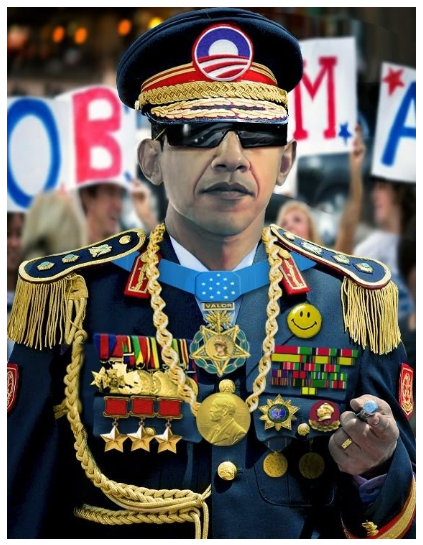 Apparently he only cares about himself, his political party, and his continued attempt to amass power.” ~Sailor …..